In 1781, people began to understand how to get molybdenum, but the total production of molybdenum in the world did not exceed 10 tons in the following 100 years. Since molybdenum is easy to oxidize and its smelting and processing levels are limited, it seems that people do not know how to apply this metal to industrial production on a large scale. However, the merits of applying molybdenum to heavy industry are obvious. Molybdenum is hard and tough, corrosion-resistant and heat-resistant, with a melting point second only to tungsten and tantalum. It is destined to become an important industrial raw material for human beings. In the 20th century, two world wars of unprecedented scale broke out. Statistics show that the molybdenum production soared from several tons to 100 tons during the World War I, and then to 10,000 tons in the World War II. Why did the war boost molybdenum production? That’s because it’s so useful. We know that the tank known as “The King of Wars” was invented in World War I. The British initially put 75mm thick steel plates of manganese into the tanks to bolster their defenses, but the hulking tanks didn’t do much in the war. Later, the British experimented by replacing manganese steel with molybdenum steel, which reduced the thickness of the tank by 50 millimeters without weakening the defense. Similarly, Germany’s famous assault weapon, the Big Bertha, is also made of molybdenum steel. 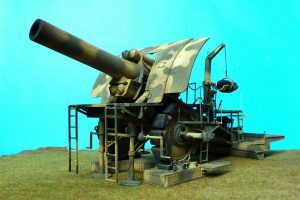 In the early years of the World War I, the German industrial giant Krupp developed an unprecedented super cannon at the request of the German general staff and named after Gustav Krupp’s wife, Bertha. The Big Bertha’s projectile weighed 820kg and had a range of 15km, and even the strongest fortifications could not withstand it. The secret of Krupp to create such a powerful gun is the use of special materials of molybdenum steel. When the big Bertha fires, there is only the high-temperature molybdenum can withstand the heat from the projectiles so that it does not melt. By the World War II, molybdenum also played an important role. At that time, the most famous tank on the battlefield is German Tiger, which contains the Tiger I and the Tiger II. The Tiger was active on the front line of the battlefield from its service in 1942 until the surrender of Germany in 1945, and it was invincible and almost irresistible. In the Kursk, however, the Soviets capture the Tiger II and tested on it, and they found it was not as solid as the legendary. 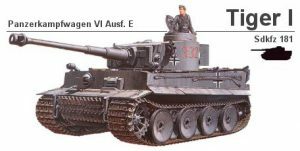 Although it has a very thick armor, there is little up in its defense effect relative to the Tiger I. The reason for this situation is that the previously occupied Knapben molybdenum mine in Norway was bombed by the allied forces in 1943, which made the Germans lose their source of molybdenum. At the beginning of the war, the German Tiger I is made of the molybdenum steel, which has good corrosion resistance and still remains the high strength at high temperatures. However, the Tiger II has no available of molybdenum in thick armor, thus has affected the fighting capacity of German panzer troops. The two world wars made people realize the important role of molybdenum in military affairs. As molybdenum has won the reputation of “War Metal”, it has been applied more and more widely, especially playing an increasingly important role in high-tech fields such as nuclear energy and medical treatment. Stanford Advanced Materials supplies various high-quality molybdenum products, such as molybdenum rod, molybdenum foil, tzm molybdenum, molybdenum alloy, etc. to meet our customers’ R&D and production needs. Please visit http://www.samaterials.com for more information.